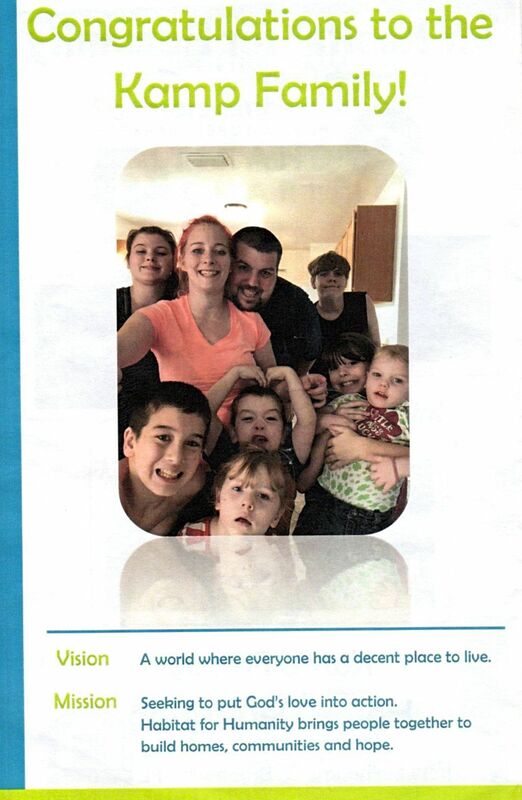 One Very Big and Happy Family! 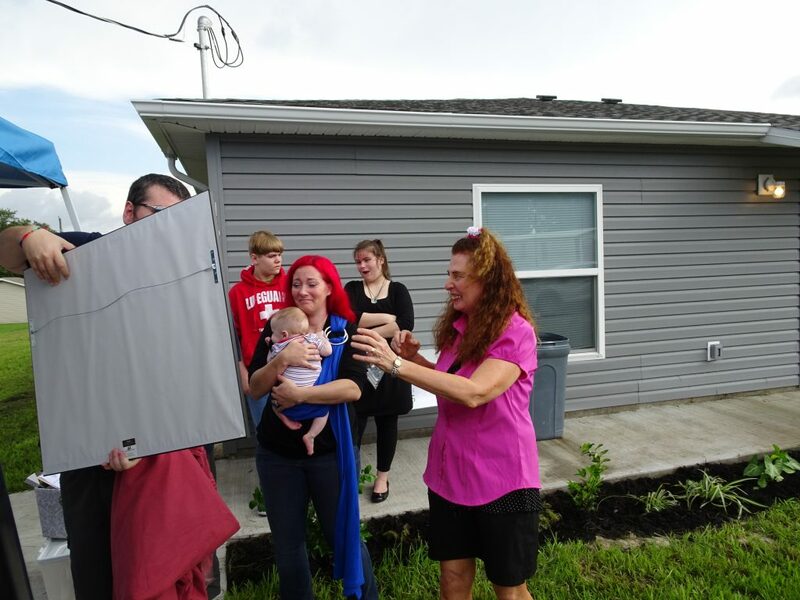 Several months ago Carmela from Habitat for Humanity of Hernando County called and said they would be building a new home for a big and happy family with seven children! Well, I thought to myself, what do I paint that would delight seven kids? I pondered, spent some time asking the Lord and prepared myself for a new and exciting creative endeavor! Voila, the answer came to me! Why not some hot air balloons? 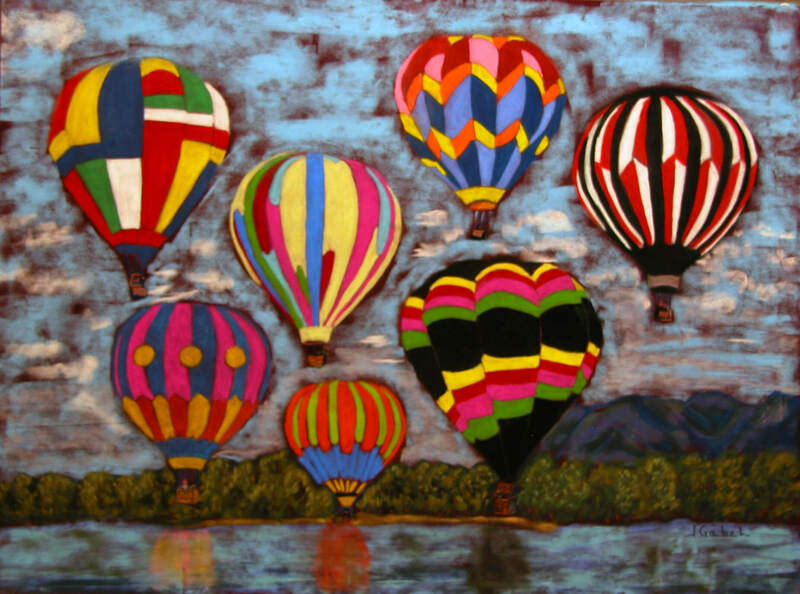 I had lived in New Mexico, home to the exciting Albuquerque International Balloon Fiesta and the idea just thrilled me. 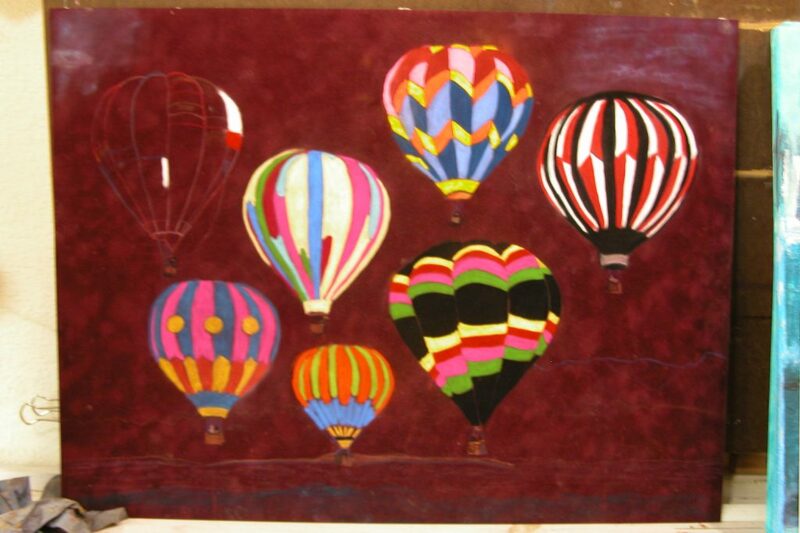 Hot air balloons were playful, colorful and would spark any child’s imagination for adventure. 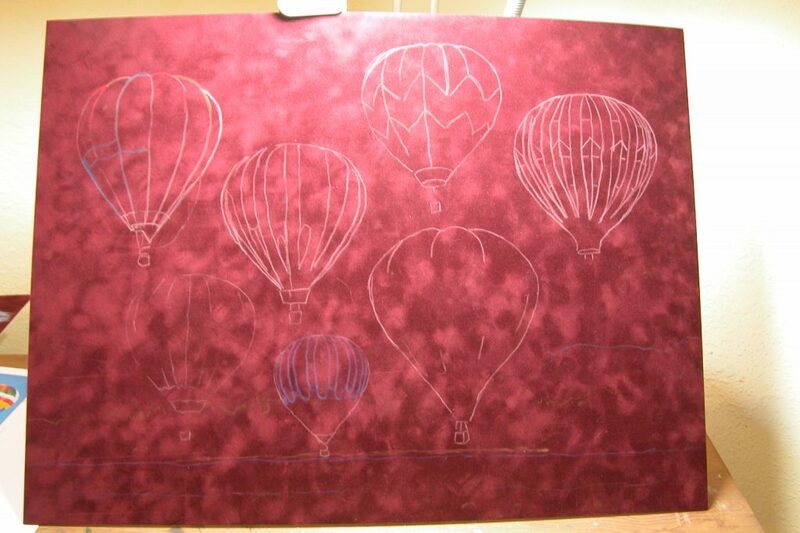 I set myself the task of finding seven totally different balloons, designed the painting scene and for extra drama decided on a suede mat board painting surface which would highlight the drama of the piece. This turned out to be quite a challenge, the shapes, geometric designs, sizes and styles of the balloons were all unique and the project was messy! Step by step, it was coming along quite well. 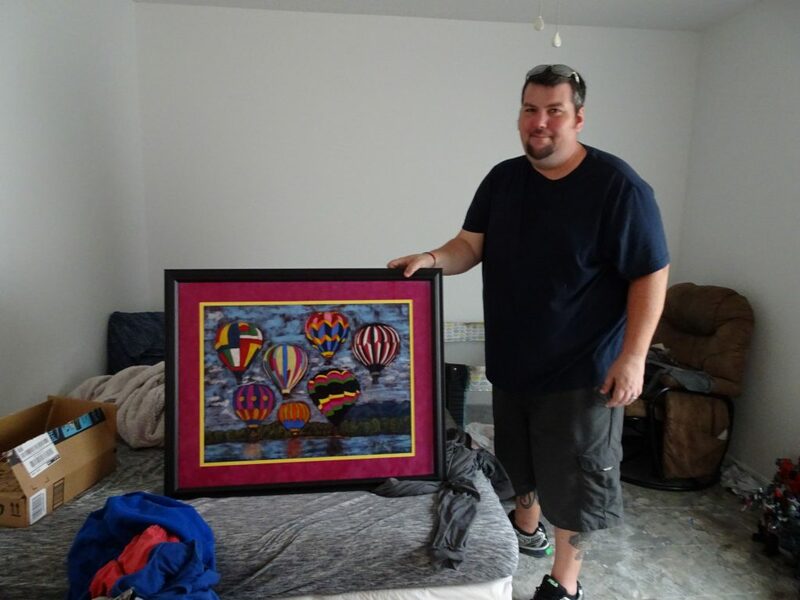 I was motivated, excited and on a deadline, plus I needed to leave time for it to be matted and framed as well. Finally, it was done. Seven balloons for seven children, and one (hopefully) happy family! On the day of the dedication however, there turned out to be 2 surprises. Here’s the finished, framed painting with Dad. Of course they were totally surprised by the painting, but I was totally surprised because during the interim, unbeknownst to me they had Baby #8!! Wow. Here you can see Mama with her newborn. 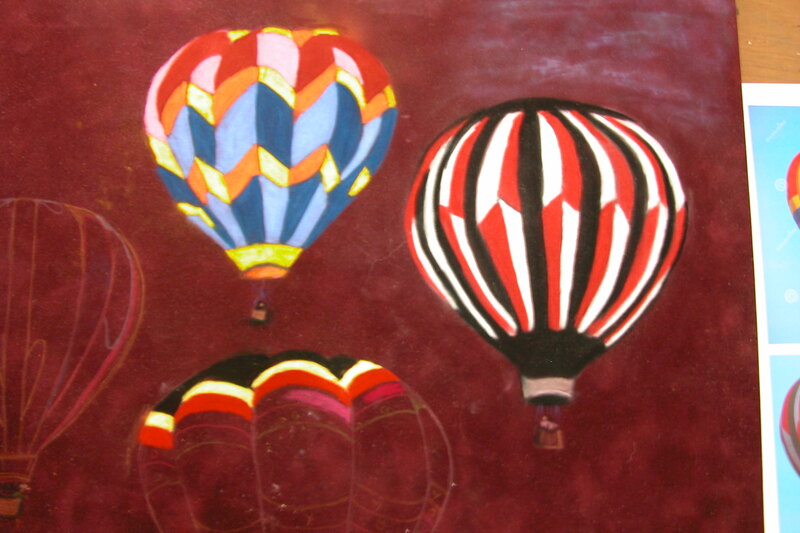 So one of these days I’m going to have to make a separate balloon painting. We don’t want anyone left out!